As you can see, Kyani Face Cream – Fleuresse Serum is more affordable than competing brands, yet contains the most advanced and natural scientific combination of ingredients. Kyani Serum, part of the Fleuresse Skin Care product line, is a light and refreshing serum. It is derived from naturally occurring botanicals found in plant stem cells- that rejuvenates the skin, helps protect against fine lines and wrinkles, and reduces visible signs of aging. All skin types, simply use when you wake up in the morning and before bedtime. Hundreds of years ago, a Swiss apple called the Uttwiler Spätlauber was known for staying fresh longer than any other variety. We now know that naturally occurring botanicals protect the fruit from oxidative stress and inflammation brought on by exposure to UV rays, and also act to reverse the effects of this photoaging. 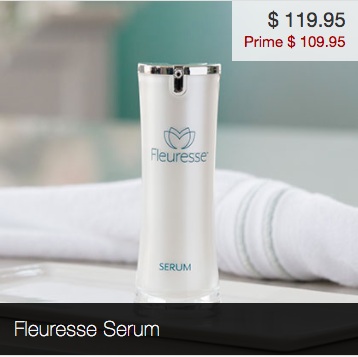 Fleuresse Serum is a light and refreshing serum incorporating extracts from the stem cells of this Swiss apple. It rejuvenates the skin and helps protect against fine lines and wrinkles, and reduce visible signs of aging.